The young and the reckless are written about aplenty. But what about the young and the responsible? Perhaps devoid of that devil-may-care je ne sais quoi, but the latter’s stories usually offer a character and substance, worthy of being chronicled. And Shivesh Bhatia’s narrative is one that fits perfectly into this bracket. 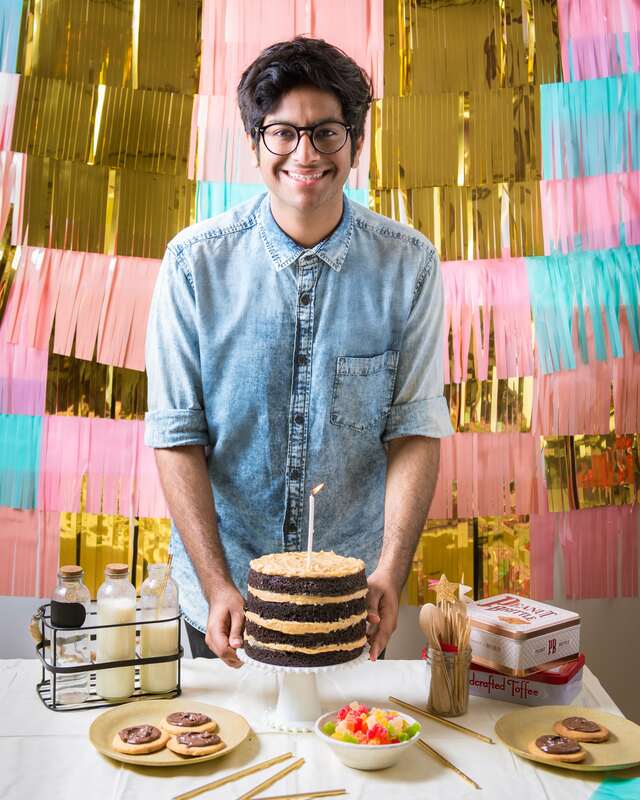 From a 16-year-old boy who’s first post on Instagram was that of an aloe vera plant, captioned “my favourite plant”, to the 22-year-old who’s a baker, food blogger, author and not forget, an Instagram star — Bhatia’s trajectory has advanced by leaps and bounds, to say the least. 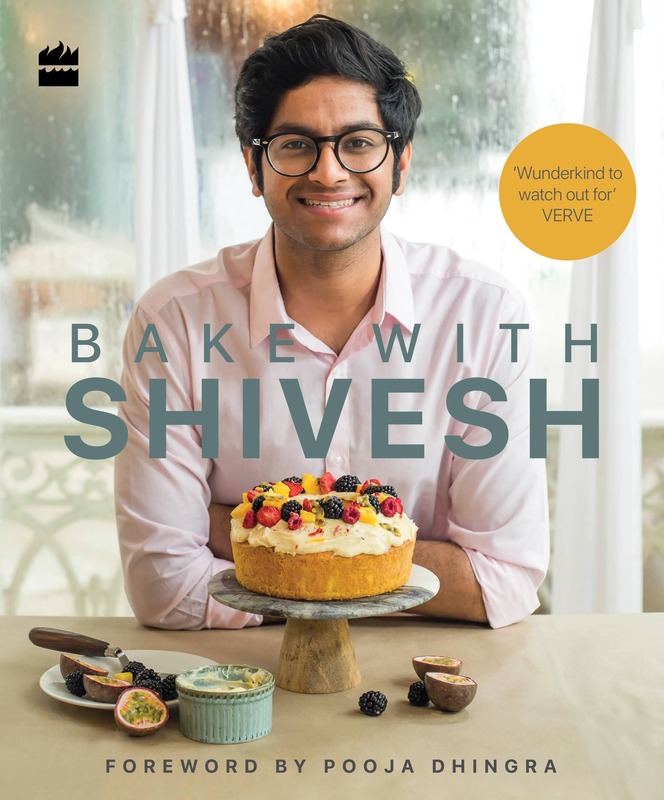 With his first cookbook, ‘Bake with Shivesh’, out earlier this month, the young powerhouse is ever so humble as he rides high on its success and shares his journey so far. What got you interested in baking at 16? I live in a big happy family of 12, that’s a big part of me and played an important role in how I have shaped up. My nani’s been baking ever since I can remember, and she used to make everything from scratch — from icing to ketchup — seeing that at home is the seed from where my love for baking grows. I started baking in Class 11. Honestly, that was a slightly difficult year as I was shifting schools, it was academically tough, and my nani had a paralytic attack. But I discovered my love for baking, and then everything came together…! How did it all begin — baking, blogging, and Instagram? Baking was always love at first sight, or the first experience of it. I always tell the story of how the first thing I ever baked was a batch of burnt chocolate cupcakes, followed by multiple inedible disasters in the kitchen, which were tossed into the bin. This was disheartening, of course, because you put so much time and effort into creating something which doesn’t match up to your expectations. But I loved being in the kitchen and baking so much that I always knew that this is something I want to do. Meanwhile, I started my Instagram four years back, and the blog a year later. While I started out with using it as a photo editing app and posted absolutely anything and everything — completely taking the ‘social’ out of this social media app! Gradually, as I realised there are other people on it too, I started posting more meaningful content. Over time I saw others from all over the world styling their bakes in such a beautiful way, even though they were making the same thing, it transported me to a different world altogether. I was so fascinated that I started spending more time styling and photographing. I started getting a better response, and while I had 15-16K followers (now a 134K), it blew up when one year into my handle, Instagram’s official account reposted from mine. I remember my Instagram crashed that night and I woke up the next day with a lot of followers. What prompted you to take up blogging as a full-time profession? I decided to take it up full-time in third year of college. Luckily for me I was doing great even while in college and I was able to support my decision in terms of the commercial value of it, I wanted to give it a shot as a career. Though seeing my peers getting master’s degrees, I did enrol for a postgraduate course this August myself, but two months into it I realised it wasn’t a good idea. I was trying to fix something that wasn’t broken. My one year of life after graduating, if that continues to be the rest of my life, I’d be more than happy. Because I did everything that I love, blogged full-time, travelled to more than 10 countries in one year, and thats what I see myself doing for the rest of my life. How did the idea of a cookbook come about? I have always wanted to write a book. I have a big collection of cookbooks which I don’t ever use, but it’s just so interesting to get inspired by pictures, flavours, recipes ideas. Ever since I started my blog, that’s something I wanted to do. But I always thought I’ll get the opportunity when I’m 30 years old, or maybe even 50, never at 21! It was great timing as I had just graduated from college and I received a message on my Instagram asking if I’d remotely be interested in doing a book. I of course said yes, and this last one year has been crazy. How did you pick the recipes to include in the book? We created a list of 100 recipes to start with, and over time selected just over 50 recipes from it. 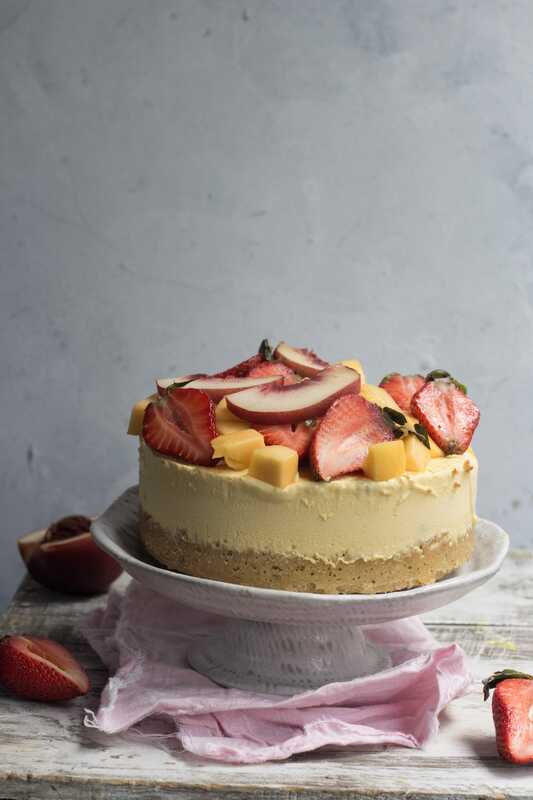 I tried to make sure to cover as many desserts as I can, cakes, tarts, pies, cookies, pavlovas, eggless recipes, gluten-free desserts and vegan options — so that there’s something for everyone. Your book doesn’t have just recipes, it also has section on tips & tricks, styling, and photography. What made you include these? We didn’t want to do a regular cookbook, we wanted it to have something more to it. It has four sections, starts with general baking tips and tricks, which is for anyone starting off and would like to get there basics right. Then you jump into the recipes, once you have your dessert you style it, and once you’ve styled it you photograph it. The idea is to have everything in one book, from the start to the finish in one place. What do you seek inspiration from for creating your recipes? Travel, of course. Then there’s fresh produce, ingredients inspire me so much. I look at ingredients and think what would I like to make out of it … thats how recipe ideas come to me. For instance, I went to Dubai this February and brought back a lot of dry fruits, and made little baklava pies back at home. The one person who inspires your craft? I’ve been fortunate enough to travel to so many countries and try desserts from so many different places that it’ll be unfair to pick one. But if I had to, it definitely has to be my friend Pooja Dhingra of Le 15 patisserie in Bombay, she inspires me a lot not just professionally but also a lot personally. One tip for each - baking, styling, and photographing? Baking: This is one thing that I got wrong for the longest time, that would be to not over mix your cake batter when you combine the dry and wet ingredients. Because if you over mix it you knock off all the air you’ve incorporated in the batter and thats how your cake gets dense, so if you want a fluffy cake, ditch that mixer, pick up a spatula and carefully and gently pour your dry into wet ingredients. Styling: Keep practicing because you cant get it overnight. Continuously push yourself to think out of the box and experiment. Definitely try everyday if you want to get better at it. Photography: Don’t run after expensive equipment. Just take whatever you have — I started taking pictures on my basic smartphone, then an iPad, before finally getting an DSLR. And I got it once I was completely sure I enjoyed and wanted to do this for the longer term. Is your own patisserie on the cards anytime soon? That is definitely something that I want to do in the future, but only once I feel like I have enough bandwidth. The plan is to manage a store alongside blogging, because I don’t want to do move away from the blogging world. 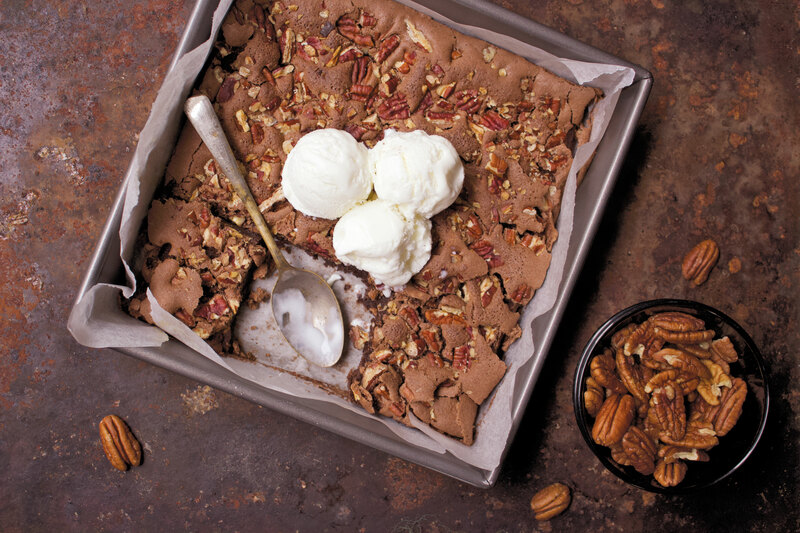 Your favourite dessert from ‘Bake with Shivesh’? There are two, actually. The Apple Choux Bun and the Breakfast Tart. What’s your next plan of action? I want to start a Youtube channel now because it is such a great way to connect with the audience. People relate to videos more than pictures, it’ll also probably allow me to do more in terms of being myself and sharing my personality with the people.